- Removable Type-C Braided Cable . The MK730 is a pro-grade Tenkeyless gaming keyboard to save desk space or for the gamer on the go. The brushed aluminum design includes a removable magnetic wrist rest for superior comfort during long gaming sessions. 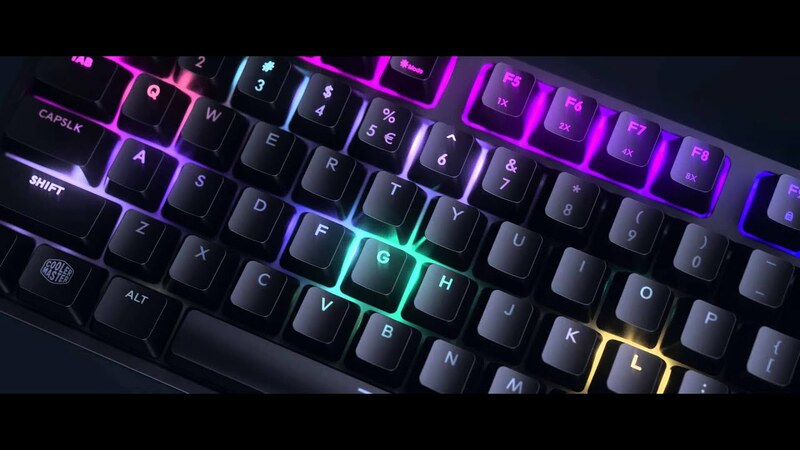 The RGB lightbar surrounding the keyboard offers lighting for added ambience. Fully loaded with practical features to ensure success, such as Cherry MX Switches for responsiveness, durability, and tactile satisfaction. On-the-Fly Controls lets you change settings in real time and hybrid key rollover ensures all your rapid key pressing gets registered. Tenkeyless design with slim profile and floating switches. Illuminate your keyboard with lighting effects in 16.7 million colors. Superior comfort during long gaming sessions. Prevent getting kicked out of the game when the Windows Key is accidently pressed. Full control of lighting, macros and profiles -all without the need of software. Convinient traveling without cable damage and cable management grooves to three sides. Advanced control of backlighting, macro’s and more. For those Pro users interested in custom keycaps!